When we were younger, whenever our mom would make biscuits (a rare treat), she would serve them with honey butter on the side. 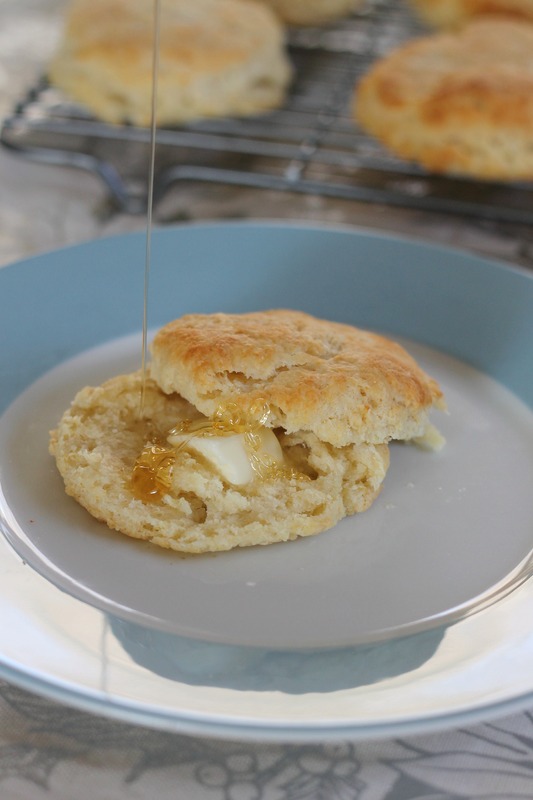 To this day, my favorite way to eat a biscuit is hot out of the oven with a little butter and a drizzle of honey over the top. There are few things that can beat it. We made biscuits for our Christmas morning breakfast, and we have determined that this is our favorite recipe. 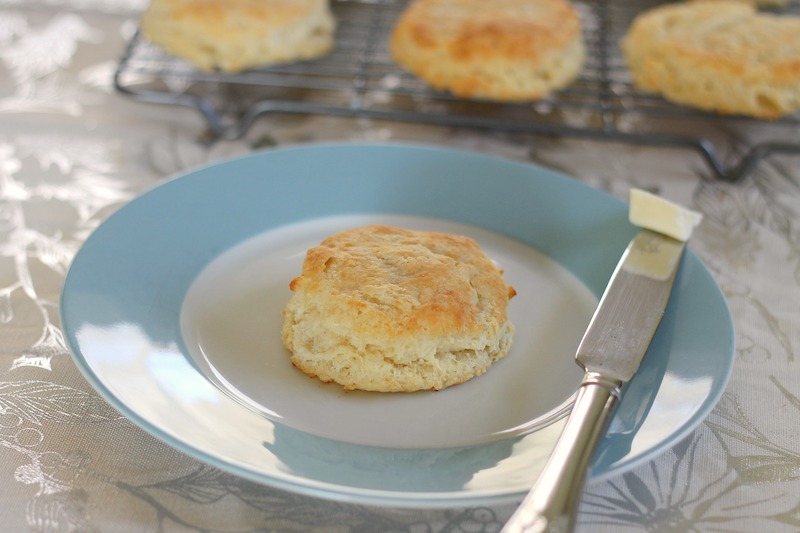 Biscuits made from scratch are very easy, and the little bit of extra effort yields results far better than biscuits out of a tube from the grocery store. Over the holidays, make sure to try these- your family and friends will appreciate it! Preheat oven to 450. Whisk together the flour, baking powder, baking soda, sugar, and salt. Cut in the butter with 2 knives or a pastry cutter until butter lumps are pea-sized. Stir in buttermilk- don’t overmix! Use up to 1 3/4 cups of buttermilk if the dough is dry. Pour the dough onto a floured surface and using a 2-inch circular cutter, cut the biscuits. Place them on a parchment-lined baking sheet and bake for 10-12 minutes until lightly browned. Serve hot and enjoy! Note: if you want drop biscuits, use 2 cups of buttermilk.